Fullname: Reinaldo Albert Almora Jr. Draft: 2012, Chicago Cubs, 1st rd. Albert, the Cubs first round selection (sixth overall) in the 2012 draft, has appeared in at least 130 games in each of the last two seasons ... has a career .289 (247-for-855) average in 331 regular season contests ... Has hit .309 (88-for-285) vs. southpaws and .279 (159-for-570) against righties ... Has a .306 career average (119-for-389) in 160 regular season games at Wrigley Field ... Has made starts at every spot in the batting order ... has a .321 average (71-for-221) with 15 doubles and two homers in 63 games as the leadoff hitter ... Has appeared in 19 postseason contests, going 7-for-37 (.189) with a double, homer, walk and three RBI ... Has spent each of the last two seasons exclusively in the majors ... has batted .290 (471-for-1,622) with 100 doubles, 16 triples, 24 home runs and 191 RBI in 405 career minor league games ... Named by Baseball America as the organization's third-best prospect entering the 2017 season ... was a top-10 prospect every season beginning 2013 ... Ranked by Baseball America as the best defensive player, the second-best pure hitter and the hitter with the third-best strike zone judgment among high school-eligible players heading into the 2012 draft ... Named USA Baseball's 2011 Athlete of the Year after helping the 18-and-Under squad go 9-0 to capture the gold medal at the Pan-Am Games ... Participated in the second-annual Cubs Rookie Development Program in January of 2014 ... Graduated from Mater Academy Charter High School in Hialeah Gardens, Fla.
Albert batted .286 (127-for-444) with 24 doubles and five homers in a career-high 152 games ... enjoyed a torrid first half to help set career-high marks in hits and doubles ... the Cubs went 53-41 in his 94 starts ... Finished the season's first half third in the N.L. with a .319 average, becoming the first Cub since Derrek Lee in 2007 to enter the All-Star Break among the top-five in batting average among N.L. qualifying batters ... Entered July with a .332 batting average (80-for-241), second-highest in the N.L., a .369 on-base percentage and an .830 OPS ... batted .232 (47-for-203) with a .267 OBP and .548 OPS from July 1 through season's end ... Batted .295 (39-for-132) against lefties and .282 (88-for-312) against righties ... Appeared in 50 games in the leadoff position, batting .333 (66-for-198) with 13 doubles, two homers and 22 RBI ... Recorded just three errors in 272 total chances, good for a .989 fielding percentage ... Recorded a career-high 11-game hitting streak, April 11-28 ... batted .370 (17-for-46) with four doubles, a homer and five RBI during the run ... was the longest streak by a Cubs outfielder since Marlon Byrd in 2011 ... Collected a career-best four hits and scored a career-high four runs, April 20 at Colorado ... Hit a walk-off single in the bottom of the 10th inning, June 19 vs. the Dodgers (game two) ... was his first-career walk-off RBI ... recorded a second walk-off RBI, September 26 vs. Pittsburgh (10th inning single) ... Went 2-for-5 in the N.L. Wild Card game vs. Colorado, his first-career postseason multi-hit game. Albert batted .298 (89-for-299) in his first full season with the Cubs ... excelled against lefties, batting .342 (38-for-111) with a .411 OBP... Closed the season strong, batting .343 (47-for-137) with five homers, 31 RBI and a .873 OPS in 64 games beginning July 4... Made 65 starts in center field ... the Cubs were 38-27 in those games ... posted a .994 fielding percentage, making just one error in 166 chances... Was one of five position players to spend the entire season on the Cubs active roster... Batted .380 (27-for-71) coming off the bench, including a .341 mark (14-for-41) as a pinch-hitter ... his .341 average as a pinch-hitter ranked fourth in the National League ... was one of nine N.L. hitters with at least 10 pinch-hit RBI, yet was the only player to do so without a pinch-hit homer... 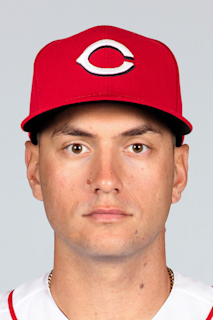 Entered as a substitute in the seventh inning, September 13 vs. the Mets, and recorded a career-high six RBI, going 2-for-2 with a homer and a triple... Became the first Cub to come off the bench and drive in at least six RBI with seven total bases … in fact, the only other Cub to drive in six runs off the bench is Mandy Brooks, who did so on August 25, 1925 at Philadelphia... Three times matched his career high with three hits, last done September 16 vs. the Cardinals... Batted .327 (18-for-55) with 11 RBI in 24 August games, one of three qualifying Cubs batters to hit over .300 in the month... Hit .347 (17-for-49) with four doubles, a triple, three homers and 15 RBI in 25 September/October games ... his .347 average ranked 10th in the N.L. in the season's final month ... batted .433 (13-for-30) with 11 RBI in his last 16 games... Committed his first-career error, July 28 ... snapped a career-opening streak of 102-straight games in the field without a miscue... Posted a career-high tying six-game hitting streak, July 4-18 (.471/8-for-17)... Drew a career-best three walks, June 26 at the Nationals... April 4 in St. Louis, making his first start of the season in center field, robbed Matt Adams of a home run to preserve a 2-1 lead in the seventh inning... Batted .227 (5-for-22) in nine postseason games ... hit a game-tying RBI single in the seventh inning of NLDS Game Three to help lead the Cubs to a 2-1 triumph ... hit a two-run homer off Clayton Kershaw in NLCS Game One, his first-career postseason homer. Albert had two stints with the Cubs, his first major league action ... batted .277 (31-for-112) with nine doubles, three homers and 14 RBI in 47 games ... was with the club from June 7-July 22 and from September 6 through the end of the season ... Began the season with Triple-A Iowa, his first time at the Triple-A level ... batted .318 (68-for-214) with 12 doubles, three triples and three home runs in 55 games before being selected by the Cubs, June 7 ... Made his major league debut, June 7 at Philadelphia, and collected his first hit the following afternoon, going 1-for-4 with a run scored and RBI ... hit .429 (9-for-21) with four doubles and five RBI in his first nine games, including a 3-for-4 effort, June 17 vs. Pittsburgh ... Recorded his first major league homer, June 29 at Cincinnati, in the Cubs 9-2 triumph ... Was optioned back to Iowa, July 22, where he spent the remainder of the minor league season ... finished his Triple-A campaign with a .303 average (97-for-320) and a career-high 10 steals in 80 games ... was placed on the seven-day minor league disabled list, August 14 (retroactive to August 11), with a left thumb injury ... was activated, August 27 ... Was recalled, September 6, and finished the season in Chicago, batting .310 (9-for-29) in 13 games ... Drove in two runs in consecutive games, September 11 at Houston and September 16 vs. Milwaukee ... Collected his second three-hit game, September 26 at Pittsburgh, going 3-for-6 with a double, RBI and two runs scored ... Saw time in all three outfield spots with the Cubs, including 33 games (18 starts) in center field ... Batted .349 (22-for-63) with a .379 OBP in 28 road games compared to a .184 average (9-for-49) with a .216 OBP in 19 games at Wrigley Field ... Appeared in nine playoff games, primarily as a defensive replacement ... started Game Six of the NLCS ... overall, went hitless in 10 at-bats, but did score the game-winning run of Game Seven of the World Series after entering as a pinch-runner. Albert spent the entire campaign with Tennessee, batting .272 (110-for-405) with 26 doubles, four triples, six homers and 46 RBI in 106 games … marked his first full season at the Double-A level after appearing in 36 games with Tennessee in 2014 … Posted a 13-game hitting streak (.434/23-for-53), August 4-16, including seven-consecutive multi-hit games … Named the Cubs Minor League Player of the Month for August after batting .352 (44-for-125) with 14 doubles, 22 runs scored and 15 RBI in 31 games … Recorded a season-high five hits, April 18 against Pensacola, marking his fifth career five-hit game … Batted .322 (29-for-90) off lefties compared to .257 (81-for-315) off righties … Competed in the Pan American Games from July 10-19 in Ajax, Ontario … Was placed on the seven-day disabled list, April 28-May 6, with a concussion. Albert split the season between Single-A Daytona and Double-A Tennessee, playing in 125 games ... hit .270 (137-for-508) to go along with career highs in doubles (27), home runs (nine) and RBI (60) ... drew 14 walks and struck out 69 times in 529 plate appearances ... Combined to play 119 games in center field, and recorded a .993 fielding percentage (2 E/285 TC) with 10 assists ... Began the season with Daytona, and batted .283 (104-for-367) with 20 doubles, two triples, seven homers and 50 RBI in 89 games ... Hit .301 (34-for-113) against lefties in the Florida State League ... hit .276 (70-for-254) against righthanders ... Batted .377 (29-for-77) in 18 July contests prior to his promotion to Tennessee, July 24. w Hit for the cycle, July 14 vs. Jupiter, going 5-for-7 with four runs scored and five RBI ... was the fourth cycle in Daytona franchise history ... Played 36 games with Tennessee in his first career action at the Double-A level ... hit .234 (33-for-141) with seven doubles, two triples, two homers and 10 RBI ... At season's end was the fourth-youngest player in the Southern League and the ninth-youngest at the Double-A level. Albert spent the campaign with Single-A Kane County, and batted .329 (82-for-249) with 17 doubles, four triples, three home runs and 23 RBI despite two trips to the minor league disabled list ... had a .376 on-base percentage and a .466 slugging mark...Batted .417 (20-for-48) against left-handed pitching ... had a .308 average (62-for-201) against righthanders...Posted a .283 average (15-for-53) with 20 RBI with runners in scoring position...Had a .994 fielding percentage (1 E/172 TC) with seven assists in 59 games in center field...Named Midwest League Player of the Week for May 20-26, batting .538 with five doubles...Was on Kane County's disabled list, April 4-May 22, due to a hamate bone fracture in his left hand ... was also on the shelf, August 5-September 3, with a right groin strain...Earned a spot on the Arizona Fall League's West Division Fall Stars team ... hit .307 (23-for-75) with six doubles, two triples, one homer and 12 RBI in 21 games for the Mesa Solar Sox..Was the youngest player in the Arizona Fall League. After he was selected by Chicago with the sixth overall pick in the June draft, Albert batted .321 (45-for-140) with 12 doubles, one triple, two homers and 19 RBI in 33 games between Rookie League Mesa and Single-A Boise...Combined to bat .366 (15-for-41) against left-handed pitching ... had a .303 average (30-for-99) against righties...Joined the Mesa Cubs on July 23 vs. the Brewers, and hit a home run...Recorded a five-hit game, August 13, vs. the Reds ... was promoted to Boise the next day...Hit .292 (19-for-65) with eight extra-base hits in 15 regular season games with Boise, helping the club to the championship round in postseason play. July 19, 2018 Chicago Cubs activated CF Albert Almora Jr..
July 15, 2018 CF Albert Almora Jr. roster status changed by Chicago Cubs. September 6, 2016 Chicago Cubs recalled CF Albert Almora Jr. from Iowa Cubs. August 27, 2016 Iowa Cubs activated CF Albert Almora Jr. from the 7-day disabled list. August 14, 2016 Iowa Cubs placed CF Albert Almora Jr. on the 7-day disabled list retroactive to August 11, 2016. July 22, 2016 Chicago Cubs optioned CF Albert Almora Jr. to Iowa Cubs. June 7, 2016 Chicago Cubs selected the contract of Albert Almora Jr. from Iowa Cubs. April 5, 2016 CF Albert Almora assigned to Iowa Cubs from Tennessee Smokies. January 29, 2016 Chicago Cubs invited non-roster CF Albert Almora to spring training. September 29, 2015 Tennessee Smokies activated CF Albert Almora from the 7-day disabled list. September 6, 2015 Tennessee Smokies placed CF Albert Almora on the 7-day disabled list. July 20, 2015 Tennessee Smokies activated CF Albert Almora from the temporarily inactive list. July 4, 2015 Tennessee Smokies placed CF Albert Almora on the temporarily inactive list. May 6, 2015 Tennessee Smokies activated CF Albert Almora from the 7-day disabled list. April 28, 2015 Tennessee Smokies placed CF Albert Almora on the 7-day disabled list. February 6, 2015 Chicago Cubs invited non-roster CF Albert Almora to spring training. July 23, 2014 CF Albert Almora assigned to Tennessee Smokies from Daytona Cubs. March 30, 2014 CF Albert Almora assigned to Daytona Cubs from Kane County Cougars. January 24, 2014 Chicago Cubs invited non-roster CF Albert Almora to spring training. September 3, 2013 Kane County Cougars activated CF Albert Almora from the 7-day disabled list. May 22, 2013 Kane County Cougars activated CF Albert Almora from the 7-day disabled list. April 3, 2013 CF Albert Almora assigned to Kane County Cougars from Boise Hawks. March 3, 2013 CF Albert Almora assigned to Chicago Cubs. August 15, 2012 Albert Almora assigned to Boise Hawks from AZL Cubs. July 23, 2012 Albert Almora assigned to AZL Cubs. July 11, 2012 Chicago Cubs signed OF Albert Almora.